It's been almost three weeks since my last post, and the time has been crammed absolutely full since leaving Santiago. The last two weeks have mostly been spent in Vienna which has been both enjoyable and very productive. Two weeks sitting down in the same office has allowed for progress on three projects, though there is still some way to go on all of them, and the rest of the time in the institute has been spent talking with collaborators (and drinking large quantities of coffee). The fact that there are blackboards in the toilets shows just how serious these people are about doing good science! I took last weekend off to go to Bratislava and Budapest, neither of which I'd been to before and given that Bratislava and Vienna are the two closest capital cities in the world, I thought it silly not to take the opportunity. I took off on Friday evening on the train and booked into a botel on the Danube itself. Nothing special, but I figured that given that it would be churlish not to spend a night on river. I went out in the evening, had some very good local fish (Slovakian food, from the variety I saw, looked very good indeed) and then walked around the town before chatting with a load of locals and foreigners in a bar in the centre and then moving on to a club as the evening drew into night. The next day I headed off early on the train to Budapest, two and a half hours away, and checked into a hostel before taking the train up north to the Turkish baths and spending a very enjoyable few hours soaking, swimming and being steamed at a range of temperatures. 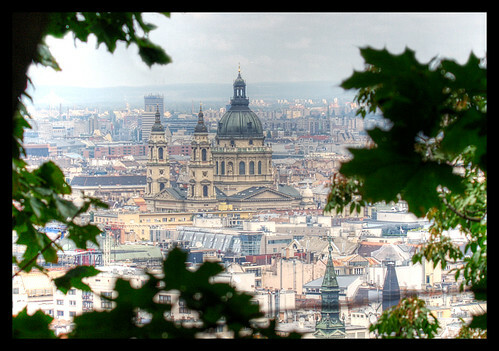 That night I went out for a fine Hungarian goulash before going bar hopping with some people I'd met in the hostel. It's been nice to go to a fair number of clubs in central Europe and to see that they're full of people who actually enjoy dancing, something that I see less of in Spain (plenty of jumping, not so much dancing!). The Sunday I did the tourist trail in Budapest, walking up the hill to the castle and going around the park full of the preserved communist monuments, which have been kept as a reminder of the past, something unusual in an ex-communist country, most of which destroyed such structures when communism fell. Sunday evening I got back on the train and made my way back to Vienna, spending most of the way talking physics to an Indonesian art student and her mother who bombarded me with questions about the nature of the universe. This week has been another busy one in the office, working on my projects and giving a talk on Wednesday. 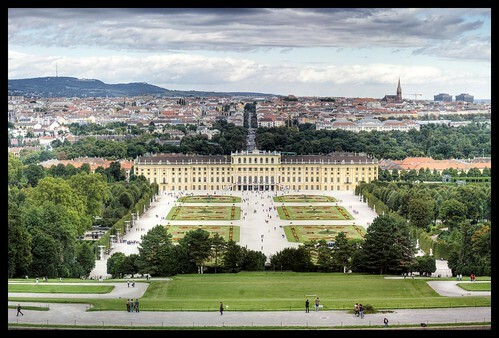 Thursday morning I took off though as it was my birthday and I fancied heading out to the summer palace in Schonbrunn, where I'd been before, but it's one of the most spectacular palaces in Europe and the tour around the house is pretty well done. and then the weekend, which was taken up with tourist things in the day, sitting in cafes and getting on with some paper editing, and a little partying at night. I have one more day now in the department and will be heading back to England tomorrow night, where five full days of work, admin nonsense and weddings await me.